Trump physical: President ‘in very good health’ – Royal Times of Nigeria. 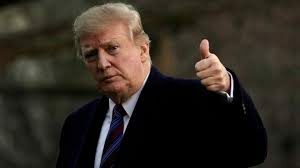 US President Donald Trump is “in very good health”, the White House doctor said after a four-hour physical examination. Sean Conley said he anticipates the President will remain so for the duration of his presidency and beyond. Dr Conley and eleven medical specialists put the president through a series of tests in a Washington suburb. 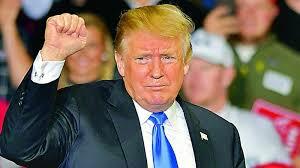 Seventy-two-year-old Trump, had previously been asked to lose at least four-point-five kilogram and there is no evidence that he has done so. White House aides report that the president is eating more fish than he used to. But according to spokesman Hogan Gidley, Mr Trump “admits” he has not followed his diet and exercise plan “religiously”. No further details on the president’s health have been released.